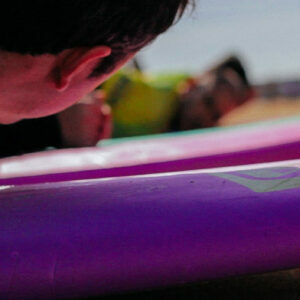 We offer surf lessons in Carcavelos, between Lisbon and Cascais, since the year 2000 and we don't intend to stop. 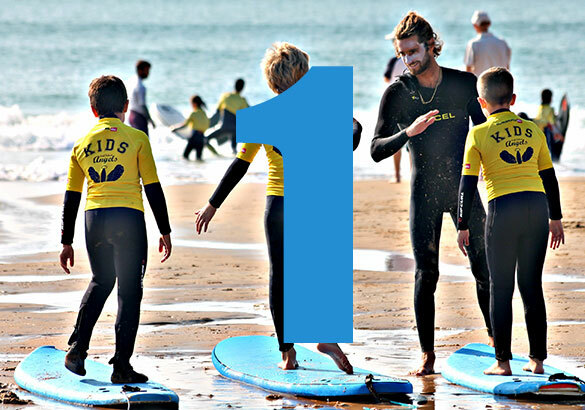 We are an accredited surf school and all our teachers are certified by the Federation. Our training is done in a relaxed and familiar atmosphere but we always keep the focus on teaching and an obsession with safety (maximum of 3 students per teacher). These are our regular lessons. 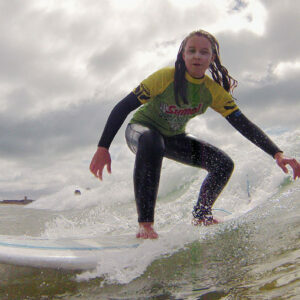 Beginner, progression and advanced surf lessons available. Both are possible, our students decide the kind of lessons they want. Lesson duration including theory, warm up and practice. We supply the material and can pick up and drive the students home. Lessons comprise a maximum of 3 students per teacher and for safety and teaching purposes the students who know how to swim may be separated from the ones who don’t or don’t dominate the technique very well. At this level we use soft foam boards. 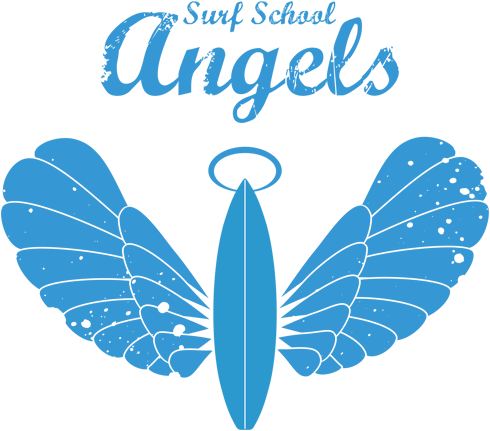 Target: students over 5 years old without surf contact/experience. Technical improvement and surfing manoeuvres lessons aiming to develop the students’ capacity to surf in the Outside on their own. Target: students over 10 years old willing to evolve technically and improve their physical condition. Several manoeuvres: Duck Diving, Take-off, Drop, Bottom, Cut Back, introduction to the Leading Arm technique, Trimming (generate speed in the face of the wave) and Quick Out. 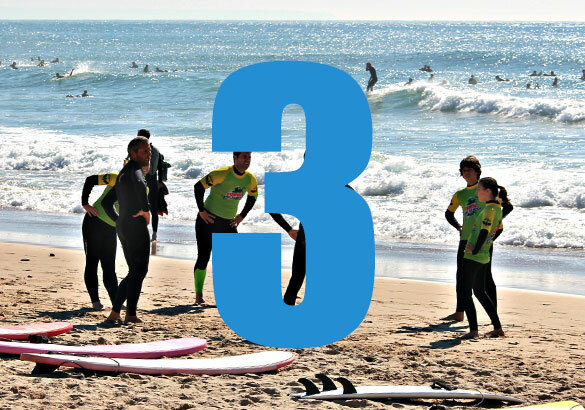 The advanced and pre-competition level lessons grant students the capacity to surf a wave in all its extension performing difficult and interconnected manoeuvres without losing speed and with a successful finishing. Target: students over 10 years old who want to improve technically, perform difficult manoeuvres and have the option of starting to compete. 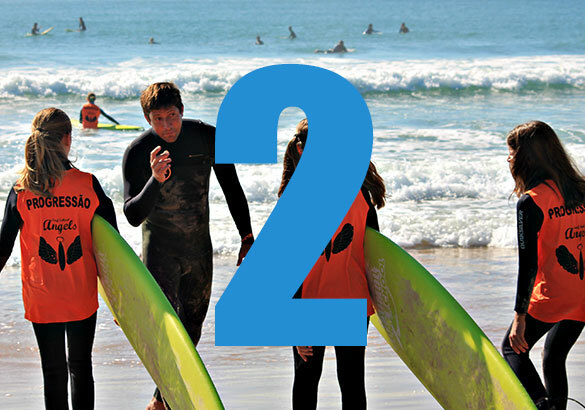 We think everybody should be able to learn how to surf and enjoy the feeling of plenitude offered by this sport. That’s why we do our best to keep prices as low as possible but always maintaining the maximum quality of our service, certified teachers, top materials, transportation and good facilities. Also, we have discounts in group lessons' packs. Progression lessons are great and teachers give us a lot of support. 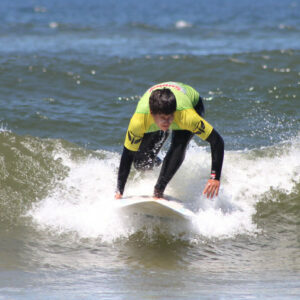 In a short amount of time I was able to eliminate many mistakes and improve my surfing skills. Besides, the lessons are always fun. I am very glad to be a member of Angels' family. These 3 years changed my life completely. I was able to evolve thanks to the great teachers, specially to "Nozes", that was patient enough to put up with me all this time and help me improve my surfing skills drastically. Thank you for everything!